Welcome to the official website of GUJARATI CHURCH OF CANADA. We thank you for taking the time to visit our website today. We at GCC invite you to explore and learn more about who we are and our various ministries through our website. Gujarati Church of Canada is a vibrant and a growing Church with a true love for our Lord and Saviour JESUS CHRIST and with a passion to serve Gujarati Christians as well members of other communities residing in and around the city of Brampton, ON Canada. Through fervent prayer and a burning desire of those founding members of Gujarati Christians who arrived in Ontario, Canada in the late seventies and early eighties to improve the quality of life for their families these pioneers of the Gujarati Christian Community nurtured a dream to have their Bible based Gujarati Christian Community. They started as a small group getting together for Bible Study and very soon as the Lord blessed them in numbers the idea of a Church bore fruition. In year 2007 Gujarati church of Canada was dedicated by Rt Rev Vinod Malaviya, (Bishop of Gujarat) Dr. Rev. Nicholas Parmar (Auxiliary Secretary Bible Society of India, Dr Rondo Thomas Vise Precedent of Canada Christian College Toronto. Rev Norman Green United church of Canada, Rev. 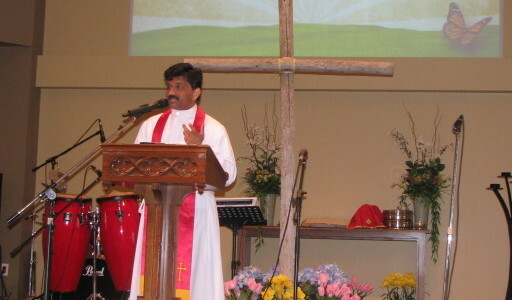 Graham Kennedy Presbyterian church in Canada, Rev Mahendra Christi was appointed as Ordained Minister to lead and to serve the Gujarati Christian congregation. Gujarati Church of Canada is an interdenominational church registered in Canada as a charitable non-profit organization. Our goal is to continue to worship the Lord our God Jesus Christ in spirit and in truth in our native Gujarati language to keep our future generations always connected with our cultural and traditional roots and also our rich heritage. Visit our YouTube channel for upcoming live events.